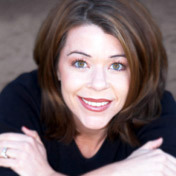 Award-winning event planner, Mandy Phalen, founded Event Studio in 2003. She owns and continues to manage the daily operations of Event Studio. Mandy brings her classic elegance and distinctive style to every event and has the creative ability to enhance the details that make each event one of a kind. That is why so many clients turn to her and the Event Studio team to help them express their personal style through their event plans. Mandy has always demonstrated a commitment to excellence. With a Master’s Degree in Business Administration from Texas Tech University, Mandy has been planning events and celebrations for over 12 years. Mandy was the Event Expert for 435 South Magazine where she wrote a monthly column. She is a frequent contributor to The Knot, MSN.com, KC Weddings and the Kansas City Star. She has appeared on a variety of morning television shows and delivers countless speeches for business groups and associations. Mandy and her amazing team have also been featured in numerous publications. Please see our Journal & Press section for full articles.